Last night I used up ingredients that were already in my fridge. 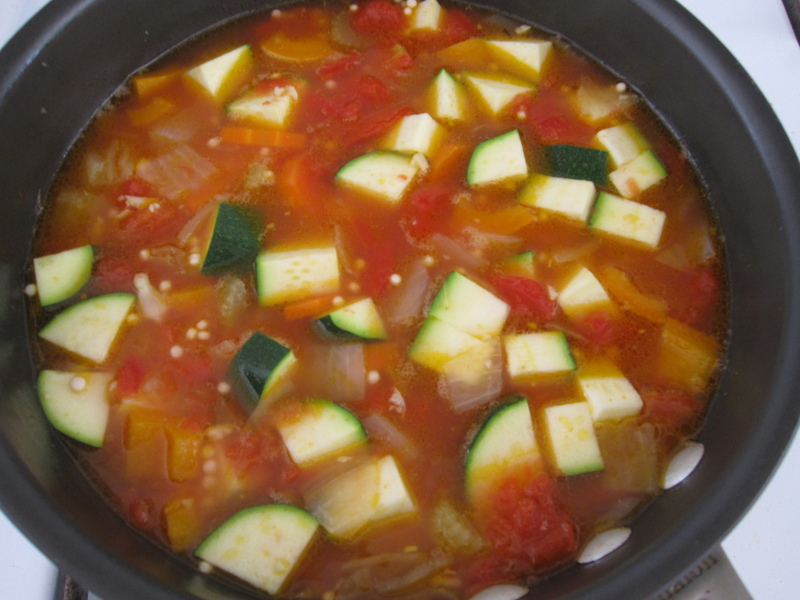 Fresh vegetables don’t last forever, so I use them up within a couple of days after purchasing them. 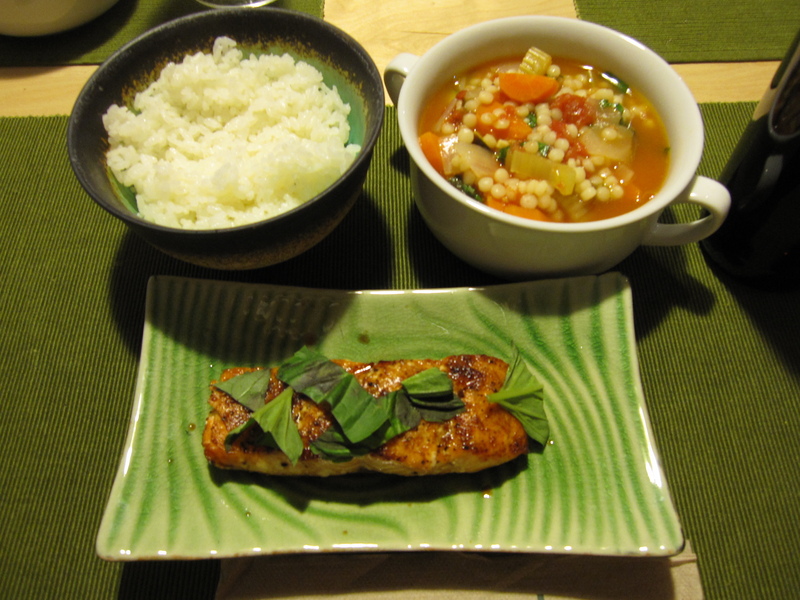 I decided to make a nice soup and get some salmon to grill alongside it. 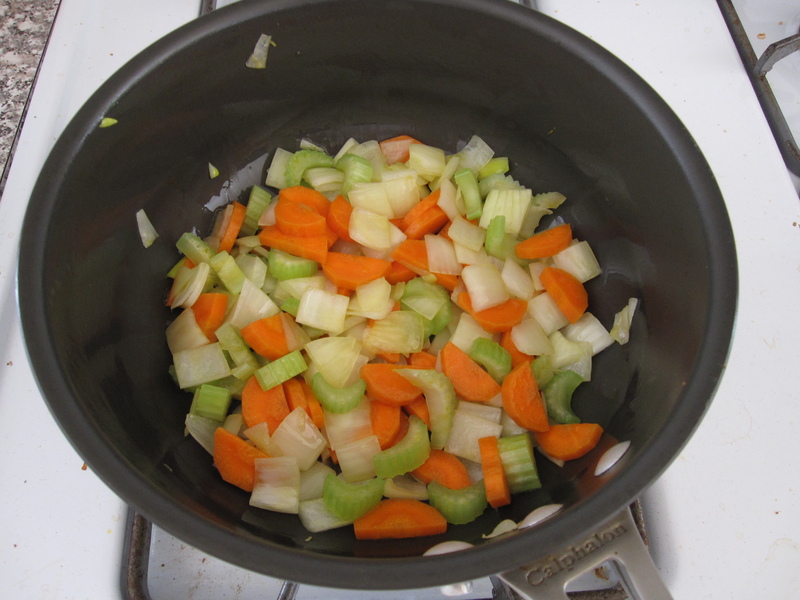 For the soup, I started by sweating down half an onion, a carrot, and a rib of celery (all chopped) in some olive oil. After about 7 minutes I tossed in 2 crushed garlic cloves. A couple of minutes later I added a half of a yellow bell pepper chopped. I let that all sweat out for a few more minutes. 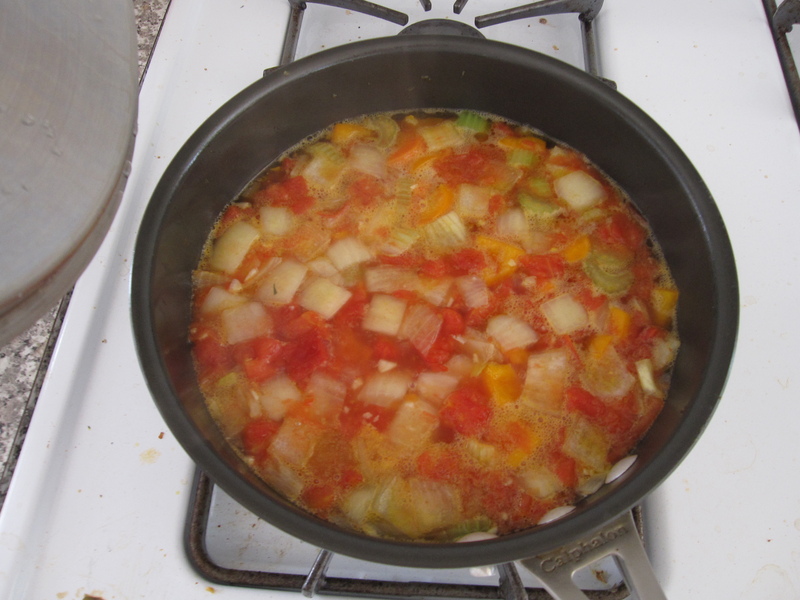 Then I dumped in one 14oz can of diced tomatoes (no salt added), one cup of chicken stock, and 1.5 cups of water. I stirred that all around and seasoned with some salt. There was a Parmigiano Reggiano rind in my cheese drawer, I try not to through them away once the grateable part of the cheese is used for reasons like this, so I dropped that in as well. By doing so a subtle sharpness is added to both the taste and aroma, you can tell there’s Parmigiano in there. Once that started to boil I covered the pot and simmered over a med-low heat for about 20 minutes. I had a zucchini in my fridge from the day before, so I chopped that up and added it along with a half cup of Israeli couscous that was sitting in my cabinet. Then I let the soup simmer for another 10 minutes. 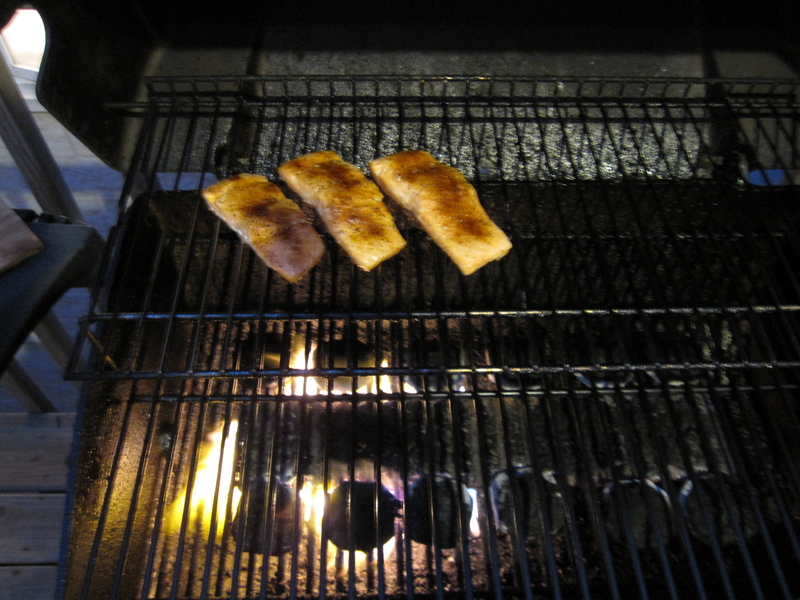 All I did to the salmon was rub some olive oil over the flesh, then salt and pepper. I grilled it to get the skin crisp. To serve, I drizzled a little balsamic vinegar on the salmon and garnished with some fresh basil. I also sliced up a handful of basil and added it to the soup along with some black pepper just before serving. White rice was also on the menu.